Darwin swimming pools, beaches and waterfalls. 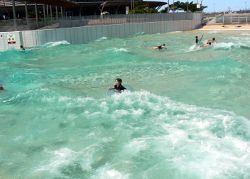 Darwin swimming pools, beaches, rock pools and waterfalls are popular in a climate with average temperatures above 30C. However some of these places are also popular with crocodiles and box jellyfish, both of which can be fatal. So before you take a running jump into some enticing cool water, check that it is safe. 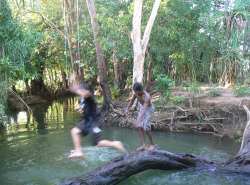 Local boys enjoying a freshwater creek. These pools are open all year, although hours may vary with the seasons. While it is true that a small crocodile was found in the Nightcliff Pool recently ( probably a prank ) these are all well maintained and safe places for a dip. 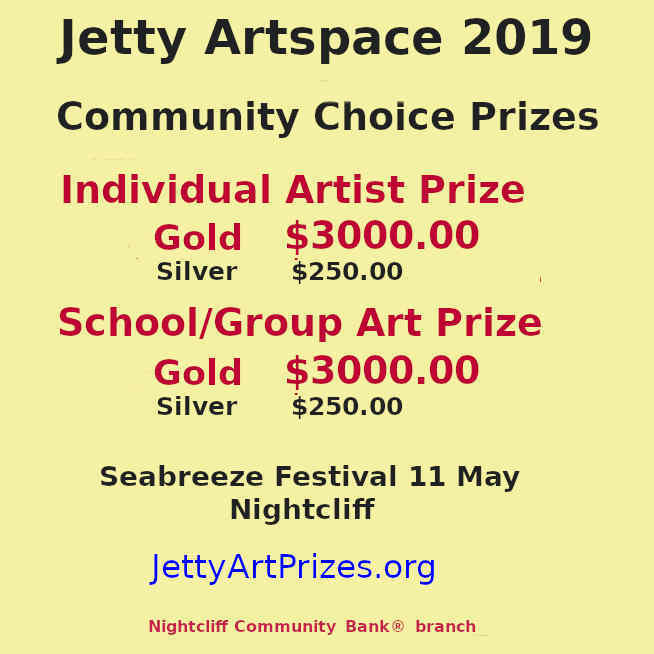 The Nightcliff Pool can be a very pleasant place in the evenings with a cool sea breeze coming in over the cliffs. Public holidays 8 am to 7.30 pm. 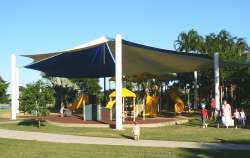 Next to the Fannie Bay Beach with picnic areas and playgrounds. Filled with filtered seawater, the lake provides safe swimmingin natural surroundings. Take a stroll down the Mangrove Ecosystem Walk leading from the car park. 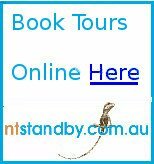 Wed - Sun 10am to 7pm - open daily on public holidays and school holidays. 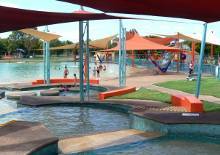 A terrific place for kids of all ages, with shaded pools, fountains, water play ground, water slides and picnic area. 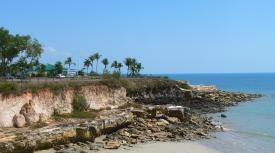 Nightcliff Pool on the beach cliffs. If you never learnt to swim, now's your chance. Contact Adrienne for help with all your water based activities,from learning to swim to programed squad sessions focusing on Stroke development, correction & fitness. 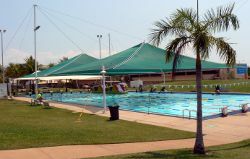 Casuarina Storm Swimming Club Operates from both the Casuarina Pool and the Goldfish Bowl pool at Palmerston. These pools can all be reached with public transport and there are more bush swimming pools and waterfalls within a few hours drive of Darwin. Commercial Tours are also available to some places where a swim in a beautiful bush setting makes the trip more than worthwhile. Return from Darwin Swimming Pools to Enjoy Darwin.